Curling has been an official Olympic sport for 20 years and is gaining in popularity. This curious sport is all the rage in Finland. 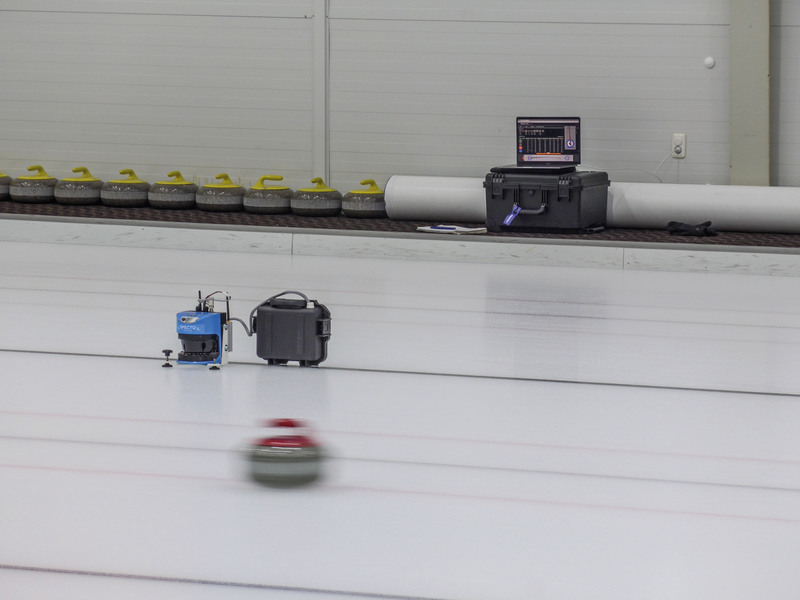 The national Finnish team trains with a specially developed measurement system that precisely analyzes the sliding movements of the curling stones – with a LiDAR sensor from SICK. Curling is a team sport that is played on a lane of ice, commonly referred to as a “sheet,” that is nearly 150 feet long. 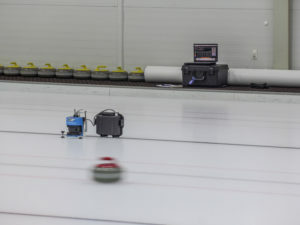 There is a target or “house” on the ice at each end of the lane and the players must try to slide the stones or “rocks,” which weight almost 45 pounds, into the center of the target. Each curling team has four players and eight stones. The teams take turns to play their stones. The team with the most stones at the center of the target wins. This sounds easy, but isn’t: The inner circle of the target has a diameter of just about 12 inches – hardly larger than a curling stone itself. Extreme precision is required to hit this inner circle. A good throwing technique is essential: The player must give the stone exactly the right speed and rotation. The stone then moves over the ice toward the target in a gentle arc while players sweep the ice in front of the stone so that it slides better. Success depends on a perfect throw, requiring a lot of training. 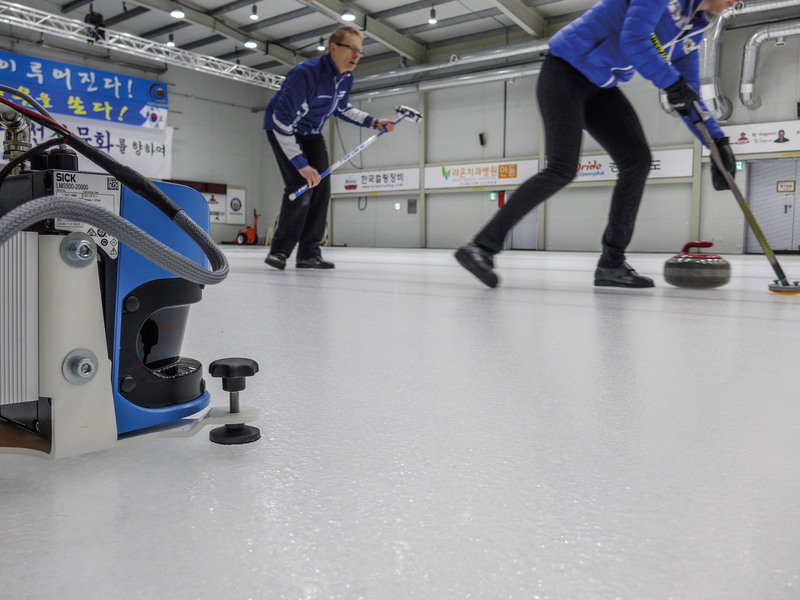 The Finnish company Angular Velocity developed the Specto Curling System for this purpose. It enables a precise throw analysis, and records the course of the movement and the speed of the stone. The result can be called up live for the trainer and stored for later analysis. At the heart of the system is the LMS500 LiDAR sensor from SICK. Its detection range covers the entire length of the sheet. The Finnish team also took the mobile system with them to the 2018 Winter Olympics in Pyeongchang and used it there for training purposes. The sensor can be used anywhere and it only takes 30 seconds to calibrate the system, which automatically recognizes the limits of the sheet. The business model of the Finnish technology start-up Angular Velocity is based on developing precise measurement systems for sport technology. In 2016, a similar system was created for the sport of bowling called the Specto Bowling System.